Server will start tomorrow at 18:00 [PL TIME]. Changelog you can read here. All characters guides were updated. See you soon online ! Incoming edition brings us four new characters ! One of them is: More characters and info about them you can check HERE. 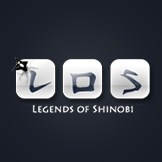 Hey, we would like to introduce you to Legends of Shinobi - an Open Tibia Server based on popular anime series - Naruto. The server is build to present to you the unique climat of Naruto, while retaining core gameplay mechanics from Tibia Server info: Exp rate -> Custom Skill rate -> x2 Loot rate -> x1 Chakra lvl -> x2 Spawns rate -> x5 We have 21 playable and balanced vocations and 20 of them are available to all players. Obito Uchiha is available after completing quite hard in-game quest. Every vocation has 9 unique transformations and at least 8 jutsu! More spells are available through missions, quests and completing Naruto saga. Speaking of saga, it consists of three main chapters from naruto. Normal Saga: 124 missions Shippuuden Saga: 130 missions War Saga: 70+ missions Element Island Saga: Suiton/Fuuton/Katon/Doton Gameplay mechanics: Wanted System - a system which allows you to place a bounty on someone's head. Auction System - you can buy and sell in-game items without the need to flood the chat with offer messages. Crafting System - collect rare items to create powerful equipment. Pet System - Every player with 150 lvl and premium account after completing a short quest gets a random companion with unique set of abilities. Combo system - every vocation has an additional spell (special) and a sequence of spells (combo II) which have various effects and fit their character. Skin System: if you don't like the standard look of your character you can always buy an alternative version of all transforms and up to 5 different special outfits to fit your needs. Cast System - every player can share his gameplay with others. You just have to enter a simple command and login with blank account number and password to access our cast system. War System - arrange wars between guilds with point system and no frag loss. You can also modify the damage ratio when you fight opposing guild to make it more interesting. Enchanting System - enchant your weapon with special scrolls. Boss system - after killng the required amount of monsters, a boss will spawn, which can reward you with: ► large amount of exp ► higher chance of rare/legendary items ► $$$ Special Jutsu - every vocation can learn a special spell after completing dojo quest. These spells usually have longer cooldowns, but can be a deciding factor in a tight situation. Element Jutsu - after reaching certain point in Naruto saga you are given one of the five elements at random with whole set of new abilities and powerful jutsu. The map: New website The new website with modern design let's you have only one login and password to both game site and integrated forum. How to make an account? Trailer: See you soon on sever! 40 Min to start . We cordially invite you! Changelog just appears! You can read changes on our website. 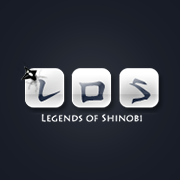 http://losots.pl/index.php?action=loshub&do=changelog See you soon online!